A coworker brought me a couple of pounds of figs - enough to make myself sick from eating so many and make a dessert. I made this Fig and Almond Tart (not a pepperoni pizza, as its appearance would indicate) from Giada De Laurentiis, but I've made a few changes - I wanted a little tartness, so I added lemon juice, and I tailored the recipe to whatever I had in the fridge and pantry - I always have almonds on hand, but rarely have almond paste. This is a great way to use the figs that are perfectly in season right now. 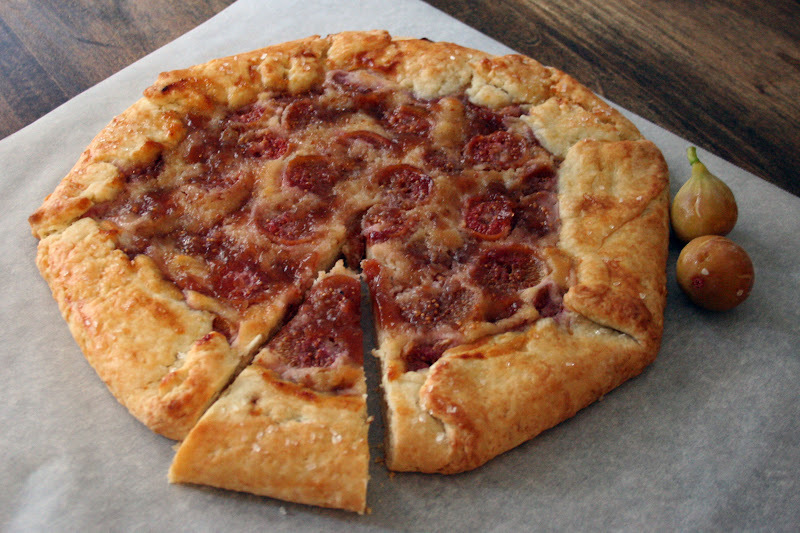 The galette is super rich, and would be perfect served in small slices on a cutting board with fresh figs and some Spanish cheeses. (We're so cultured around here!) I like it cold or at room temperature. Combine the flour, 2 tablespoons sugar, lemon zest, and salt in the bowl of a food processor. Pulse until blended. Add the butter and pulse until the mixture has pea-sized lumps. With the food processor running, pour ice water into the bowl just until the dough just starts to form large clumps. Flatten the dough into a disk and wrap in plastic wrap. Chill until firm, about 45 minutes in the freezer (placing a frozen item on each side of the dough will speed up the chilling). In a clean food processor bowl, process almonds, confectioners sugar, and egg white for a few minutes, until smooth. Add mascarpone cheese (or substitute), vanilla extract, honey, and lemon juice. Blend until smooth. Position an oven rack in the center of the oven. Preheat the oven to 400 degrees F.
Roll out the dough into a 13-inch circle. Transfer the dough to a large baking sheet. Spread the almond filling over the dough, leaving a border of about 1 1/2 inches. Arrange the figs on top of the almond filling. Spoon the jam over the figs. Fold the dough border over the filling to form a 10-inch circle, pleating the crust loosely and pinching to seal any cracks in the dough. If you like, brush the crust with the beaten egg and sprinkle with a little sugar. Bake for 40 minutes. Cover the crust with a bit of aluminum foil if it starts to brown too much. Place the baking sheet on a rack to cool for 10 minutes, then slide onto a platter and serve. Looks amazing! 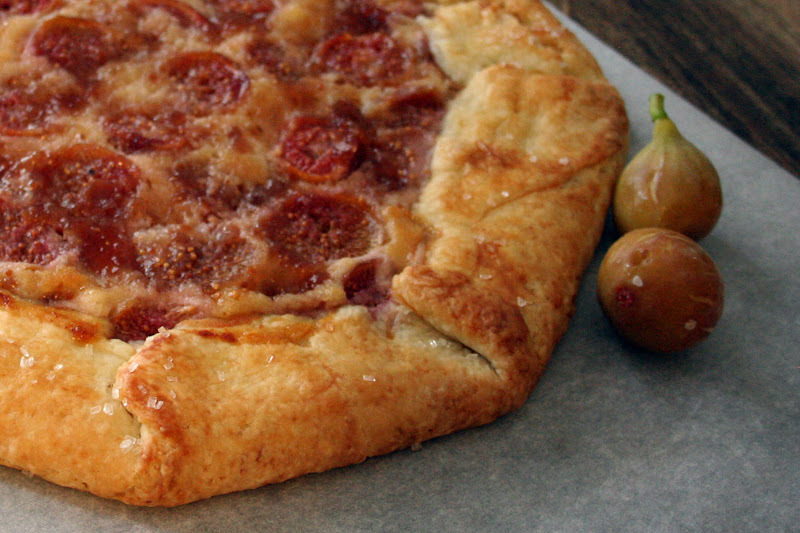 I don't have a coworker with figs supply but have done a similar tart with grapes and lavender.